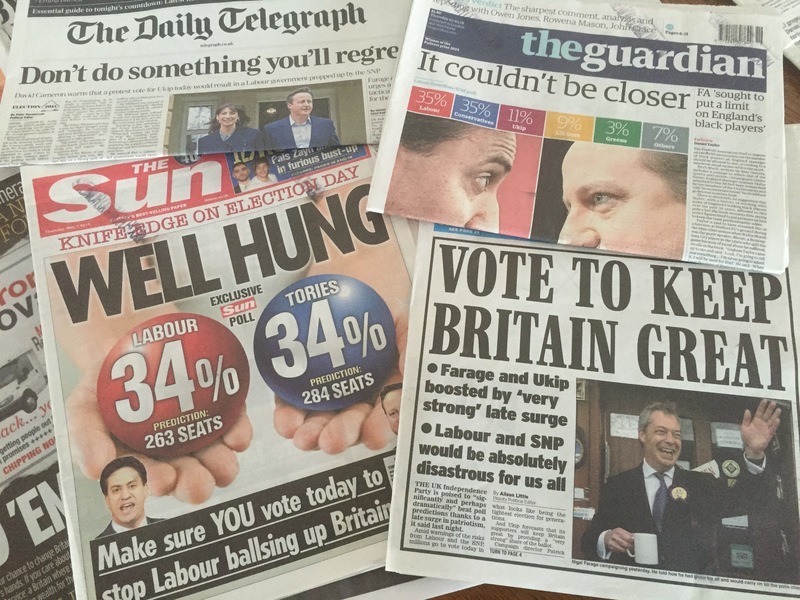 This article by LSE Media and Communications’ Dr Bart Cammaerts who researches and teaches political communication. The day after the unexpected defeat of the Labour leader Neil Kinnock in the 1992 election, the Murdoch-owned tabloid The Sun’s infamous headline read: ‘It’s The Sun wot won it’. During the 1992 campaign it seemed as if the Tories would lose and Labour would win. It was a compaign during which Kinnock was attacked hard and hit below the belt repeatedly by the mainly right-wing media in the UK. Just as today, it turned out differently and John Major won a convincing majority; Kinnock left the political stage. What is clear, however, is that social media has had no or very little impact at all. The hashtag #Milifandom and the nearly 10 million followers of comedian Russell Brand did not make a difference, except then that they made many commentators, myself included, believe that a Miliband government was possible. If a junior reported filed a piece as badly written as this I’d advise him to seek a new career. Dr Cammaerts teaches political communication? This article – and the response to Guido – tells us much about the left-wing political bias within LSE, and academia more generally. The claim that the media “served as an uncritical loudspeaker for the Tory campaign” is completely absurd. Evan Davis gave Cameron a tough interview, while Paxman “sinks his teeth into David Cameron” according to the Guardian. What impact could our revered national broadcaster, no stranger to driving on the left, have had upon the result given that it has the ear of the vast majority of the population? What percentage of the British public reads regularly one of the demonised newspapers condemned in this article? Might be worth considering in the context of media influence on the results perhaps?